The children and I love this wonderful story of being different than the cultural norm and making the most of what life offers you. 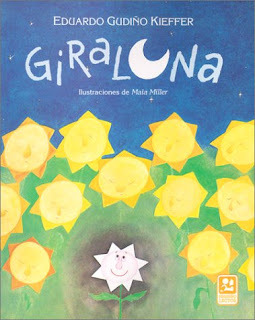 In Giraluna by Eduardo Gudiño Kieffer, you can read all about this little sunflower who doesn’t do things in the normal fashion and ends up being loved and understanding her purpose in the end. You can purchase this book from Amazon.com. You’ll find additional suggestions for great read aloud books in Spanish to share with your favorite people on my growing list by clicking on my Book Recommendations.